CROWNMAX the #1 RZG bull in Germany! 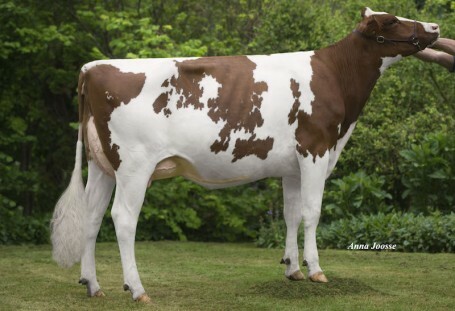 R DG Adalyn-Red VG-87 2yr - 3.9% PROTEIN & dam to chart toppers! Wonderful classification day for Rijnhof Holsteins! Incredible R&W cow family - one of the most successful branches of the KHW Goldwyn Aiko EX-91-USA cow family nowadays! Genomics, production, type and cow family all combined! R DG Adalyn-Red VG-87-NL 2yr. The former #2 R&W RZG heifer in the breed! / #1 RZG Emperor dtr! Former #1 RZG Argo dtr in the breed! 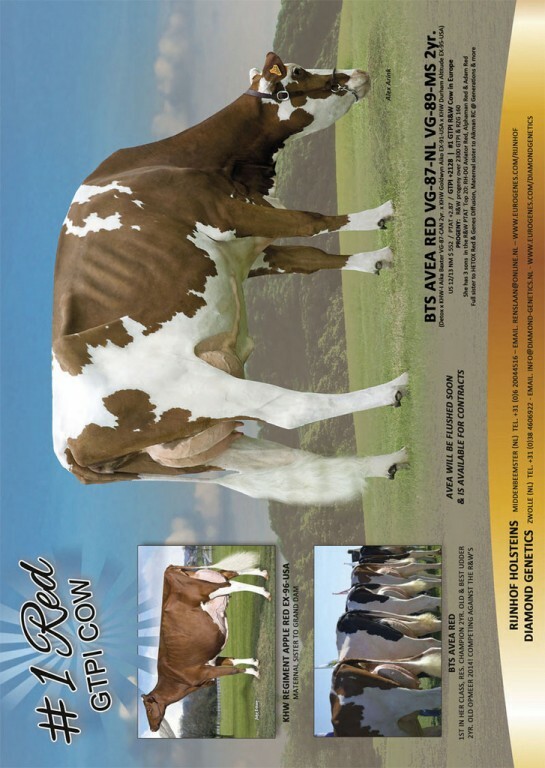 R DG Avira Red-ET VG-85-NL 2yr. Former top 5 GTPI R&W Female in Europe! R DG Superfem *RC VG-87-NL 2yr. R DG Aafke *RC VG-86-NL 2yr. R DG Femke Red VG-86-NL 2yr. Fresh 2yr. old from the Aika Baxter family! R DG Adriana Red VG-85-NL 2yr. DG RH Nikita VG-86-NL 2yr. Tir-An N.U. Nyala VG-86-NL 3yr. Vekis DG Lyzette-ET GP-83-NL VG-87-MS 2yr. Hul-Stein Crown Party 2 VG-87-NL 2yr. Former #5 RZG Profit daughter World Wide!! R DG Nova VG-86-NL 2yr. RZG 162 / GTPI 2617!! Hul-Stein Sweet Ruby GP-84-NL 2yr.